I got an Amazon gift card for Christmas from my sister, so of course I went online and bought a bunch of stamping plates. My other sister gave me the Bundle Monster Holiday Set, which I used for this mani. So basically, I have new plates coming out of my ears, so get ready for lot of stamped mani posts! 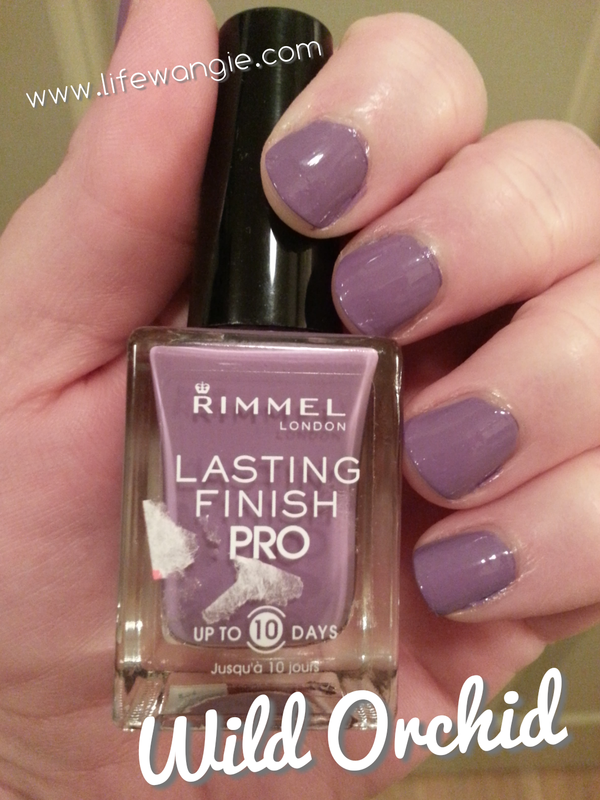 First, I found this Rimmel London Lasting Finish Pro in Wild Orchid on clearance at Ulta the other day. So pretty! I've never purchased a Rimmel London polish before. I'm pretty impressed with it. The photo above is of two coats with no topcoat. I love that the top of the bottle has a cute little silver crown on it, as shown in the next photo! Earlier today, someone caused a kerfuffle in one of the nail groups I am in on Facebook by asking why people post imperfect pictures of manicures online. Guess what! My manicures are not perfect either. 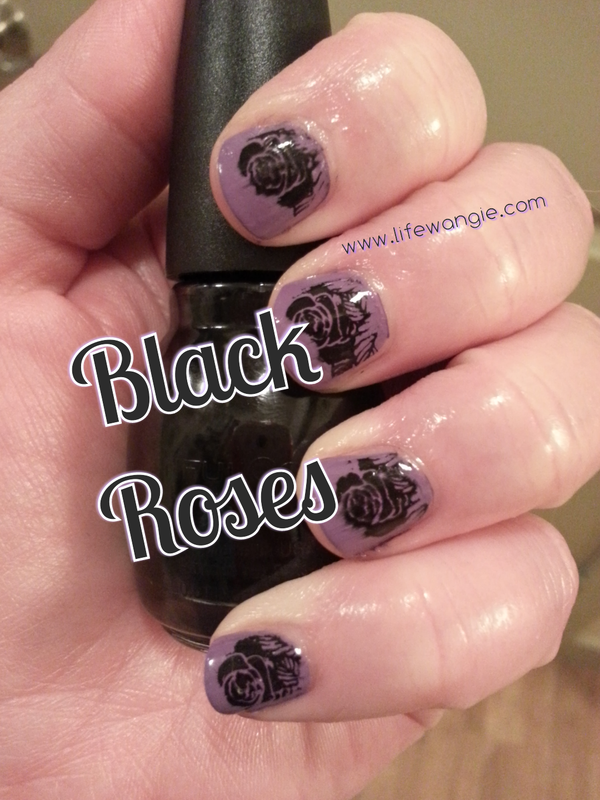 This one is a bit smudged and I didn't do a perfect job of stamping. But I am still posting it because I had fun doing it, I like the design, and I thought others might like looking at it. I'm not a pro nail tech, just a person who likes to mess around with nail art. If you are offended by imperfection, look away now!